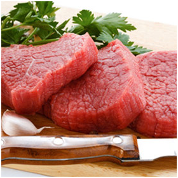 From 50 years Sirman has been manufacturing the finest food processing machines for the professional kitchen, the small meat processing and retail industry. 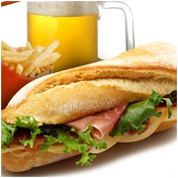 Today Sirman is a leader in the industry thanks to the most comprehensive range of food processing machines, designed with a perfect combination of technology and dependability, innovations and solutions to meet and exceed the demands of restaurants, bars, pizzerias, butcheries, supermarkets, laboratories, collectivities and plants. This is the outstanding result of engineers working every day in high tech departments for the research and development of effective solutions to further expand the line. The research & development department boasting 12 engineers with 8 3D modeling stations to manage all stages of the product development process in conjunction to the sales force focused on understanding and addressing the rising and ever changing needs of the customers to create a high-level strategy to be the only global partner in the Italian marketplace and internationally well-recognized. 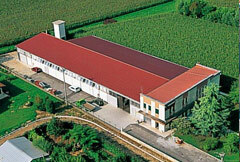 The entire manufacturing process is developed in our factories. The latest investment activities indeed contribute to a lean and effective production system and do not give rise to outsourcing of production to the Far East. 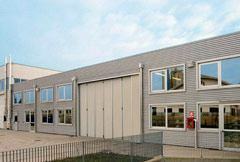 The logistic area is fully operative with 9 loading docks and manages from the QC test to the packing and delivery of 105.000 machines a year plus 130.000 accessories. 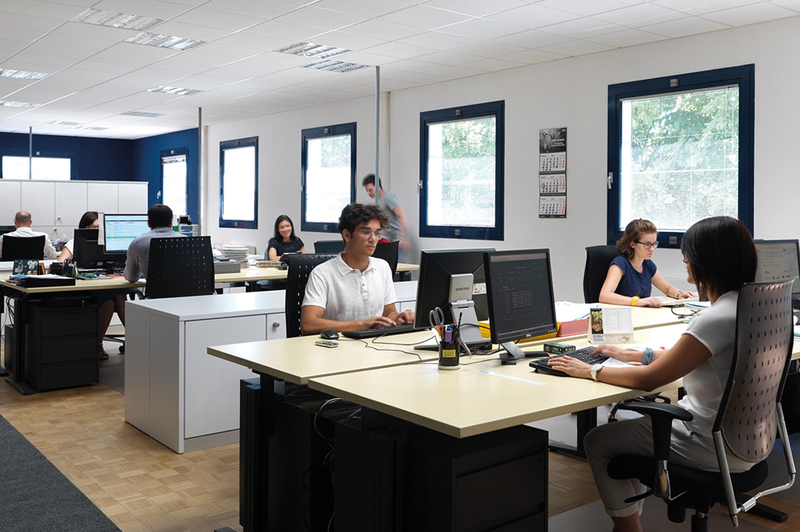 The new Service Department manages 32.000 codes and it’s efficiency is supported by a dedicated software to order parts online and 3 vertical warehouses with 240 drawers holding 500 Kg each, equivalent to 800 sqm surface. All this to grant an yearly delivery of 450.000 parts to support the hundreds thousands machines installed all over the world. In 2017 it was the turn of the 8th automatic work center and the new robotic polishing system for polishing off the parting lines of Components without the labor intensive efforts required with manual systems. A further step ahead of Sirman has been the automatic storage and retrieval system integrated with the company ERP and capable of 2650 pallets to ensure availability of material at each stage of the production process, thus avoiding bottlenecks and enhancing efficiency. 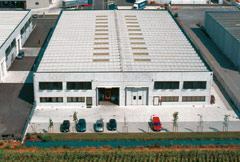 An ultra-modern assembly plant of 3.200 m2 provided with an automatic storage and retrieval system, capable of 2.650 pallets to ensure availability of material at each stage of the production process, enhance flexibility and production flow for both stock replenishment and OEM custom made product. The assembly system split into dedicated areas for each product raises Sirman workers’ responsibility and confidence during the whole assembly process. 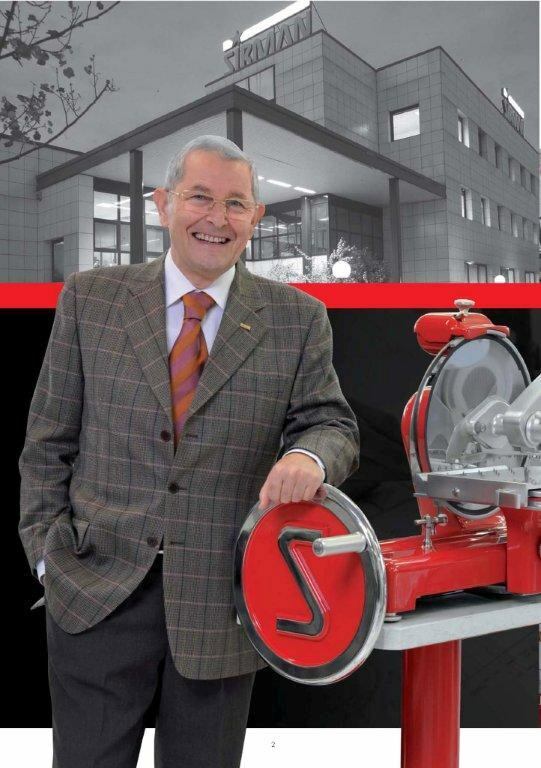 At the same time Sirman workers’ skills and expertise qualify for the highest degree of quality, worthy of the finest tradition of Italian mechanics, necessary when it comes to the assembly heavy-duty slicers, genuine masterpieces of refined mechanics. 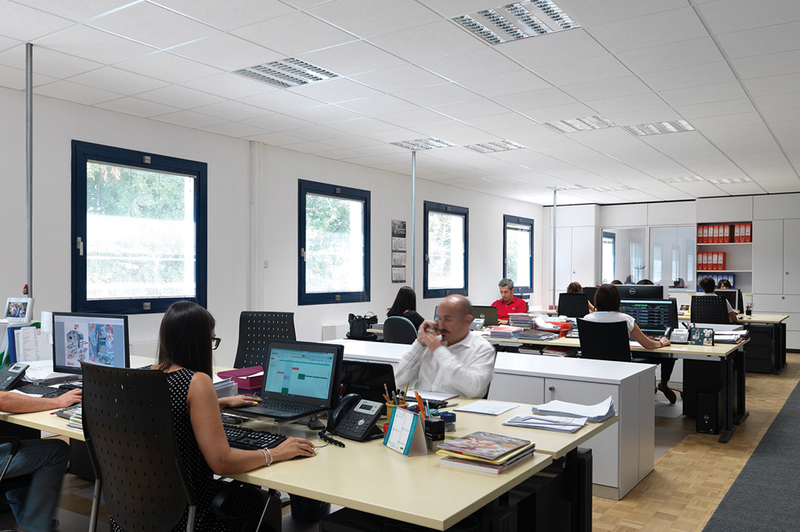 The social responsibility to employees and the responsibility to the environment and natural resources are vital codes of Sirman mission sustained by the installation of a 150 Kw photovoltaic system and an innovative floor heating system for a safe, energy saving and comfortable working environment. Sirman takes pride of a highly-efficient 5.500 m2 metal machining and tooling infrastructure, featuring 8 automatic work centers operating with 3 shifts a day. The new robotic polishing system provided with two Kawasaki robots and 10 different matrix styles is today one of the most advanced worldwide able to achieve perfect results without human interaction. Metal polishing is notoriously a hard and unhealthy work, made easy and secure by Sirman thanks to the investments in automation and a state of the art powder and residues extraction and disposal system. The new sheet metal cutting department, which started operating in 2016, is a genuine automation jewel, also in terms of Industry 4.0. The core of the department is a combined optical fibre punching-laser machine with automatic magazine, sheet metal loader and a Cartesian arm for stacking the cut pieces. The first installation in Europe of a machine of this type by the Japanese leader Amada, it can manage the Group’s entire sheet metal cutting requirements with only two people. 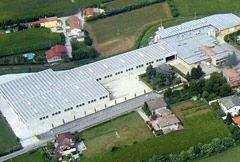 6.000 m2 split into 3 production areas. 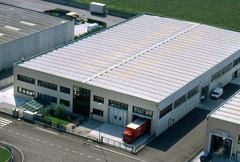 One area has been dedicated to the production of food displays, induction hobs, Softcooker and other modern cooking products, the second one to the production of all bar and beverage machines and immersion blenders, finally the third one is provided with a machining center for stainless steel for the production of panini contact grills, toasters and pizza ovens. 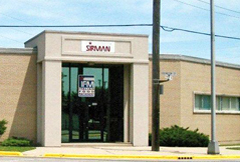 Today Sirman boasts eight manufacturing facilities, proudly located in the Veneto area for the best Made in Italy products, a Chicago branch office since 1999 and a Shanghai one since 2005, both provided with a stocking warehouse and service to better serve the US and Chinese market. 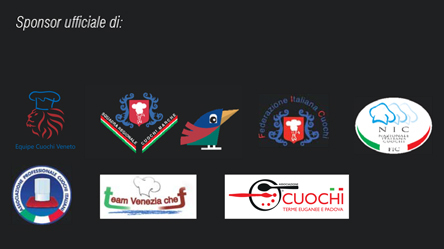 Since 2016 a further investment has taken place in Brazil both for the distribution of the “Sirman Made in Italy” products and for the production of slicers dedicated to the internal market, still very difficult and closed, but still incredibly dynamic. 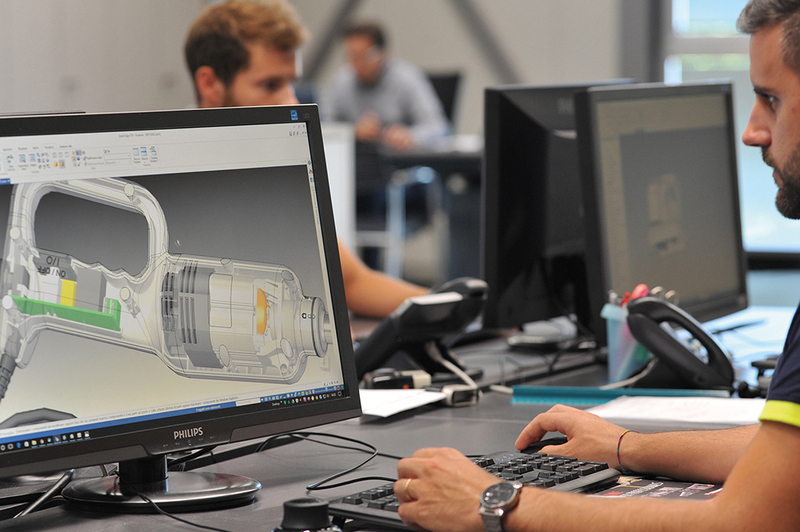 The Headquarter hosts all offices, the logistics department and the R&D, where 8 3D modeling stations manage all stages of the product development process with CAD, CAM and 3d printing facilities. 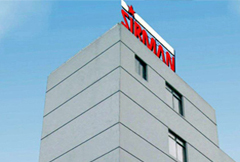 The newest production facility of Sirman, dedicated to the production of vacuum pack machines. 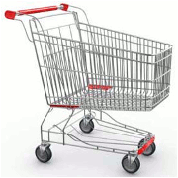 This product further expands Sirman line achieving outstanding results in customer satisfaction. 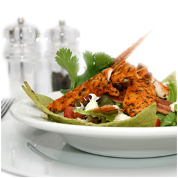 Dedicated to the production of food preparation machines such as potato peelers and continuous-feed food processors. 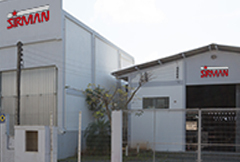 An area of just 1.000 m2 with an extremely high production yield focusing on products which have made Sirman a renowned name inside the professional kitchens all over the world. 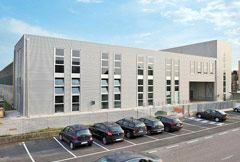 The highly efficient facility of 2.200 m2 destined to the production of meat processing machines features 5 assembly areas capable of producing high-performance machines in accordance to the particular needs of a marketplace or even a single account. Accuracy and care prevail over yield for the development and implementation of dependable, performing and durable products and solutions. Sirman stays updated with the new food service trends, the most innovative technologies and the demands of the finest Chefs. To do so and provide solutions to an ever changing market place, Sirman values training and development of the Workforce and a comprehensive corporate communication to emphasize a considerable amount of important activities. It is extremely important indeed to acknowledge the quality of the products as it is the only way for Customers to understand the daily advantages of new solutions and fully express skills and abilities. 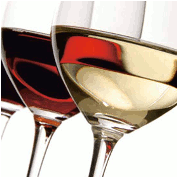 Sirman intends to promote the quality work of Professionals by means of event sponsorships for the Italian Culinary Team and famous personalities of the culinary world, classes and seminars conducted by industry Experts, publications of recipe books from world-renowned Master Chefs, multimedia and the Zafferano magazine, entirely dedicated to the food service and culinary professionals with insights from the finest culinary experts.